Not only was my concern for the future of FTD a month ago unwarranted, last week the label announced that it will end the year with no less than six new releases. An impressive figure, although a closer look at the list reveals that two of the planned albums are recycled. I will definitely buy the 5 inch digipack 2 CD set titled From Sunset To Vegas which features the rehearsal recorded at RCA's studio on Sunset Boulevard on August 16, 1974, as well as a couple of live recordings from Elvis' Las Vegas engagement in August/September that same year. This release is the perfect companion to the double CD Nevada Nights that FTD offered us last autumn. I know I nag about it now and then here on Elvis Today, but I've never been able to figure out why FTD doesn't put together a CD box. The two above mentioned titles would've been perfect candidates, don't you think? So would the recordings from Jailhouse Rock, apparently, as the second FTD album in September will be a 2 CD in the classic albums format, followed by a second volume next year. The most exciting of the bunch is Good Times that will see the light of day around November 1. This one has always been high on my wish list for getting the classic album treatment, and finally it does. Ernst Jorgensen promises "many great outtakes" and I for one hope for an alternate version of "My Boy." FTD also promises us a new soundboard, but no further details are given. As the label more and more turns to concerts already issued on bootleg, maybe we can look forward to Elvis' concert in Dallas, December 28, 1976? This incredible show was released as A Hot Winter Night In Dallas by Fort Baxter back in 1998. As for the recycled albums, one of them will be Rockin' Across Texas, released as a 2 CD set without the book that is now deleted. The Way It Was got the same treatment a while back, so I guess it was just a matter of time. One of the first FTD albums and also one of the best is The Jungle Room Sessions. Nearly ten years after its original appearance it returns in the shape of a 2 disc vinyl set, making up the final release of the year. I really can't make up my mind about it. On the one hand I don't understand the decision to manufacture vinyl records featuring material already released on CD, but on the other hand an edition of The Jungle Room Sessions pressed on 180-gram vinyl and "supplied in a new gatefold sleeve featuring additional Graceland images" sounds pretty cool. 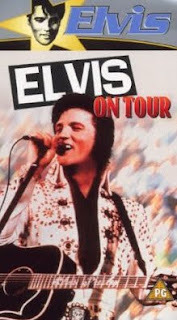 Yesterday I spent a rainy morning on the coach watching my faithful VHS copy of Elvis On Tour. And, not very surprisingly, I started thinking about what a special edition would look like, if it was ever to materialise. According to Stein Erik Skar's book The Concert Years about 50 hours were filmed from Elvis' concerts, the record studio and from the activity surrounding the concerts. Given the wealth of material filmmakers Pierre Adidge/Robert Abel had to work with, I think they did a good job editing the film. That said, a special edition could, of course, be even better. The question is how to go about it. One approach could be a complete re-edit, to make it into a That's The Way It Is-movie, that is, let it start with the mock session/rehearsals recordings and then continue with the live performances. But maybe that's a questionable solution, as it would certainly go against the original intentions of the producers. Another, and maybe more acceptable way to do it, would be to keep the original plot, but add new material and in some cases also delete some things. One example of the latter that immediately comes to mind is the scene where a very old guy wearing a hat, in a weak voice tells us which doors Elvis is going to pass through on his way to somewhere. Boring stuff. More exciting is the prospect of adding rolls of films. The fantastic version of "Always On My Mind" from the mock session is a given. Also, I would like to see some more material from the rehearsal recordings, such as "Burning Love." In the original movie only the religious material from that day is used, to illustrate Elvis love for gospel music. And of course, the addition of more live performances, is what really would make a special edition special. 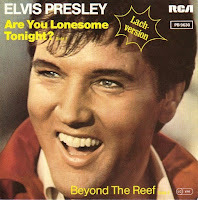 Immediately missing songs such as "How Great Thou Art," "I Can't Stop Loving You," "Release Me" and the incredible version of "Are You Lonesome Tonight" from Elvis: The Lost Performances comes to mind. And complete versions of "Suspicious Minds" and "Until It's Time For You To Go." One thing I haven't made up my mind about is whether to keep the scenes from the 50's, including Elvis' performances on the Ed Sullivan Show in 1956. What do you think? PS: While I wrote this I listened to Live In Texas 1972, the final CD on the Close Up box set released in 2003. 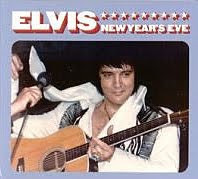 It features the next to last concert Elvis did during his April 1972 tour, in San Antonio. 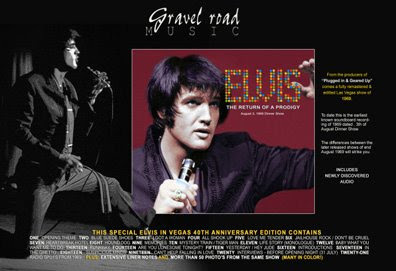 What hit me was that none of the older songs done in that breatless speed ("All Shook Up" and "Teddy Bear"/"Don't Be Cruel"among them) were included in Elvis On Tour. A wise choice. In Memphis, this years edition of Elvis Week is coming to an end. 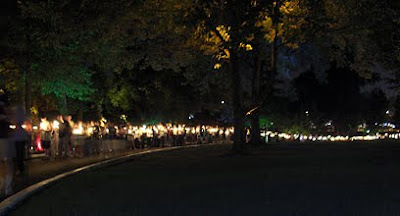 Thanks to the Elvis Information Network I've been able to keep track on what's going on, and as always I remember my trip to Graceland during Elvis Week 2005. Unfortunately, the media coverage here in Sweden has been practically zilch when it comes to the anniversary of Elvis' passing. And just like on January 8 this year, TCM (Turner Classic Movies) disappoints us here in Europe by showing not a single Elvis movie on August 16. The American edition, however, delivers in great style, screening no less than 13 of the Kings movies. Returning to Elvis Week, today was also the day when Ernst Jorgensen would attend and talk about upcoming Elvis projects. Apparently he appeared on the Sirius Radio where he stated that he had three engineers working on three different classic albums - but couldn't tell which one would be the first in line to be released. He did reveal, though, that the next FTD release will be a 1974 rehearsal tape previously released on the bootleg From Sunset Boulevard To Paradise Road. That is great news, at least to me, as I've never succeeded in obtaining this title. So ends Elvis Week and August 16. Thanks for reading Elvis Today. And thank you, Elvis. The last couple of weeks I've been listening a lot to the latest FTD "escape" The Wonder Of You. As you probably know, it features the August 13, 1970 Dinner Show, the sixth and last one to be recorded by RCA during that particular engagement. I won't bother with a review, as I totally agree with the one written by Tygrrius over at the Elvis Australia site. Instead, this fantastic concert once more made me think about which show I would pick if there existed a one-use-only Elvis concert time machine. No doubt one of the shows from the Elvis third Las Vegas engagement would be a very strong candidate. One of my absolute favorites is the Midnight show recorded on August 12, available on the 3 disc set That's The Way It Is - Special Edition released in 2000. "The perfect blend of old and new material - the highlight being the seemingly impromptu sit-down-with-electric-guitar session - from a man who was firing on all cylinders, this is a very strong contender for Elvis' greatest show ever." Sometimes when I fantasize like this about which show I would like to travel back in time to see, I cheat and bend the rules a little. When I do, it's possible to pick both an early show (say, from 1969-72) and one from the later concert years (1973-77). Still, I always have a hard time choosing between the legendary Pittsburgh concert from New Year's Eve 1976 (released by FTD in 2003) and the afternoon show performed in Nassau Coliseum, Long Island, on July 19, 1975 (available on the bootleg Americas Own). Both stand out as some of the best concerts Elvis did during those years. It must have been an incredible experience sitting in audience watching him perform "Rags To Riches" or sing "Bosom Of Abraham/You Better Run." But of course there are other highlights. 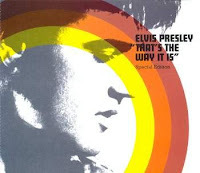 The shows from Elvis' third tour in November 1971 show him in top form, as do the the ones from tour number eight that took place in the summer of 1973. And of course it would have been incredible to see Elvis perform during the filming of Elvis On Tour or when he was recorded live on stage in Memphis on March 20, 1974. Not to mention Madison Square Garden or the famous Aloha satellite show. What it boils down to is that not only is it impossible to travel back in time to see Elvis, it's also extremely difficult to pick that one concert to attend. But if a time machine materialized right now in my living room I would punch in the following date and location: August 12, 1970, The International Hotel, Las Vegas, around midnight! PS: Thanks for lending me the title to this post, Tygrrius!